Nestled about 7500 feet above sea level, Machu Picchu is found in the Andean mountain range above the Urubamba valley. It is an ancient city lying on top of a mountain peak. 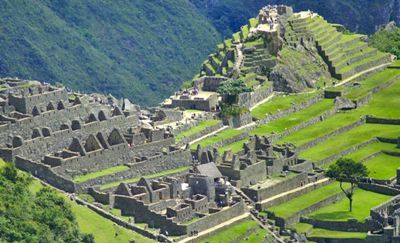 There are a lot of unknown and interesting Machu Picchu facts. This city was probably created at the peak of the Inca Empire around 1450. The real purpose is unknown, but there have been speculations that it might have been a prison, or a defense retreat, but the most commonly accepted belief is that it must have been the Inca Emperor’s estate. Below are some interesting facts about this lost city of the Incas. 1. Manchu Picchu is one of the new seven wonders of the world. This choice was made in the year 2007. It remained a hidden city but was made public in the year 1911 when Hiram Bingham, an explorer, arrived there. The natives were already using some of its stairs as a cultivation ground for their harvests. 2. Manchu Picchu means “Old Peak” or “Old Mountain” in the Quechua Indian language. 3. In 1983, the Machu Picchu ruins were named a UNESCO World Heritage Site. 4. There are more than 150 buildings in Machu Picchu. These range from temples to chambers, rooms, terraces, sanctuaries and baths. 5. There are more than 100 separate flights of stairs within the Machu Picchu compound. Most of these staircases are individually carved from one stone slab. 6. Most of the building blocks used in the creation of Machu Picchu weigh 50 tons or more. However, the precision they are made with is so great that the joints fit in to each other so tightly even a sharp knife blade cannot be inserted in between. The joints are also mortar-less. 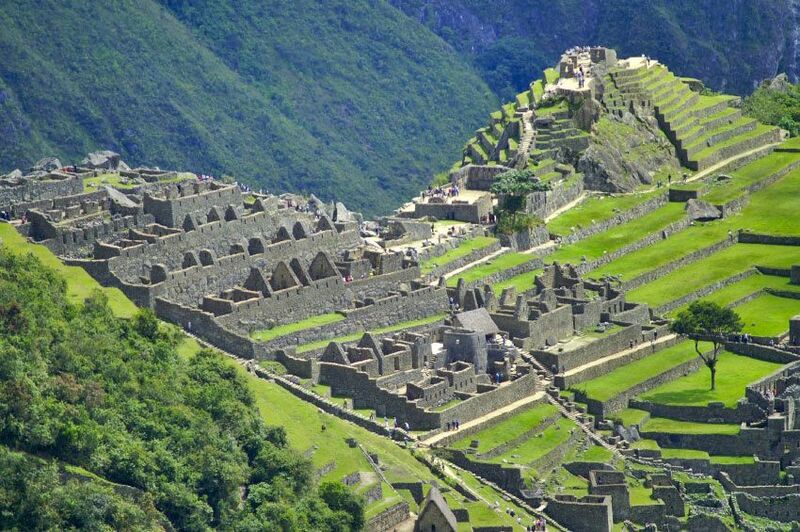 This design of the Inca structures made them highly resistant to earthquake. That’s one reason why they still stand even today. How these large blocks of stones were taken up the hills remain a mystery. 7. The sacred Intihuatana stone shows the two equinoxes accurately. This indicates that Machu Picchu played a role of being an astronomical observatory. Two times every year, the sun is directly over the stone without creating any shadow. 8. Most Inca civilization cities were destroyed by the Spaniards in their conquest. However, they did not touch Machu Picchu because it is totally invisible from below, and so was not found. It is, thus, one of the world’s most well preserved Inca city, with great archaeological value. 9. You can get to Machu Picchu in two ways; either by train, or by hiking on foot via the Inca Trek. Hiking is the most interesting option, being so memorable. You get to experience, first hand, the culture of the native societies, the forests and jungle, as well as the mountains and valleys. The hiking takes three days to get you to Machu Picchu and is simply unforgettable. 10. Machu Picchu temperatures average 16 degrees Celsius, with an annual rainfall of between 1500mm and 3000mm. The temperature drops to 50 °F (10.2 °C) at 8,200 feet (2,500m) above sea level, with the average rainfall 2.67 inches a month. There is a dry season between May to September, and a wet season from October to April. These are some of the interesting Machu Picchu facts that you should know.